The silver and gold Luna mirror-like earrings are minimal by design but with maximum impact, making an easy and glamorous statement. 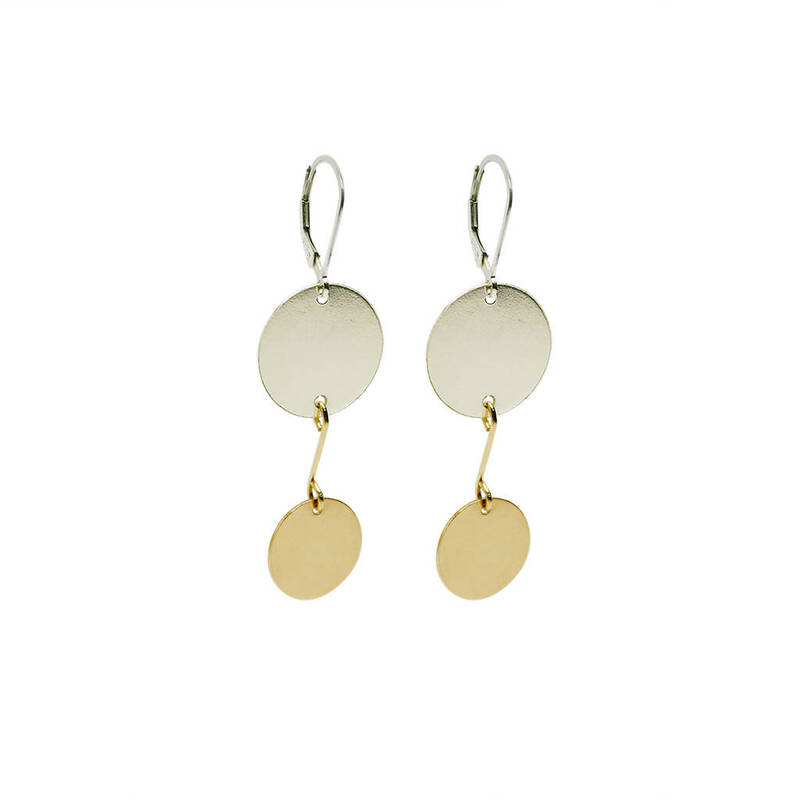 These earrings are very simple by design and are created with two flat discs. The larger silver connector links to both the lever arch ear fittings and the gold wire connector below. The gold polished tag is suspended at the bottom. This is effortless glamour at it's best. Choose these earrings to anchor an outfit and either dress up or down. Silver lever arch fittings with a 16mm round tag connector and a gold filled 13mm round tag. Held together with a 13mm double loop connector. The overall drop is 5.5cm.